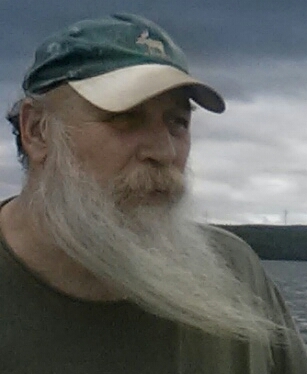 “Slim” Kenneth Allen Starner, 65, of Patten, ME formally of Gardners, PA passed on March 27, 2019 in Bangor, ME. Ken was born December 12, 1953 in Gettysburg, PA. He was the eldest son of the late Allen N Starner and Ruth P. Rotz Starner. Ken is survived by his wife, Tina Starner of 36 years along with his Daughter Jennifer Junkins and her children Kassidi and Karson, Son Kenneth O A Starner and his daughter Sierra, Son Jason Whitten and his daughters Eloise and Emmeline, Daughter Holly Starner and her sons Blake and Seth, Daughter Ericka Campbell and her son Josh and Son Shawn Campbell and his daughter Aliza. Also survived by Brothers Kevin Starner (wife Cathy), Keane Starner and a Sister, Kim Starner (fiancé Joseph Kalin).He also leaves behind many cousins, uncles, nephews, nieces and friends. Ken “Slim” loved to be outside in the woods or on the lake. In the solitude of nature is where he found his earthly peace. He was an avid hunter who had a knack for telling a perfect story. He was gifted with a strong presence to fill his large stature and he will be sadly missed as he was deeply loved. Funeral services will be held Saturday, April 6, 2019 at 12:00 PM in the Mt. Zion Lutheran Church, 4200 Carlisle Rd., Gardners, PA 17324. A viewing will be held Friday, April 5, 2019 at 6:00 PM until 8:00 PM in the Hollinger Funeral Home & Crematory, Inc., 501 N. Baltimore Ave., Mt. Holly Springs, PA 17065. Burial will be held in the Goodyear Cemetery, Gardners. Visit www.HollingerFuneralHome.com for condolences to the family.